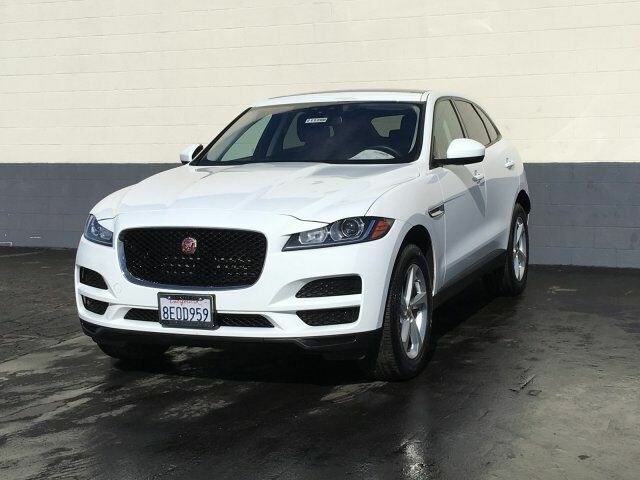 The only SUV with Jag grace, performance and heritage. CERTIFIED PRE-OWNED WARRANTY: This limited warranty is added on top of t new car warranty, using only Jaguar Genuine Parts. This limited warranty covers repairs for mechanical or electrical failure, and work is only undertaken by Jaguar Trained Technicians. The warranty covers the vehicle for up to 7 years / 100,000 miles, whichever comes first. 165-POINTS: FROM ENGINE PERFORMANCE TO VANITY MIRROR LIGHTS: This ensures your vehicle is in optimum electrical and mechanical condition using only the very latest technologies, tools and diagnostic equipment. The inspection always includes paint, interior, engine, road test, and a final inspection before the vehicle is personally signed off by a Jaguar Technician. Only vehicles that pass all 165 checks to become a Jaguar Approved Certified Pre-Owned vehicle. Vehicle History Report available. ROADSIDE ASSISTANCE: Jaguar Assistance has been created to give you complete reassurance should you ever need it. It covers vehicle disablement due to breakdown or accident, even minor emergencies such as a tire puncture or lock-out assistance. Your vehicle will be covered for the entire duration of the warranty period and operates 24 hours a day, every day of the year. Transferable Warranty: There may come a time when you decide to sell your Jaguar Approved Certified Vehicle. The new owner will be assured knowing that the warranty that came with your purchase is fully transferable.